Liver Transplantation in India, Most Affordable Liver Transplant Surgery with GHN services. Most of the Patients suffering from different kind of Liver Disorder Travel to India for Liver transplantation treatment because Indian Hospitals have been successful in delivering best results in transplantation with wonderful success rate of their Surgeons. Many Countries does not have facility of Liver Transplantation so for the Patients seeking treatment chose India as their preferred destination. This is the procedure to replace the diseased liver with a healthy liver with a healthy liver. This is done because the diseased liver does not function properly and is likely to fail. In Simple, it is the process of replacing a diseased Liver with a healthy one. 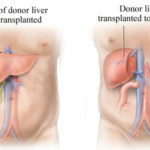 What are the types of Liver Transplantation done in India? Cadeveric Liver Donor Transplant: It involves transplanting a Liver from a Person who has died recently. Living Donor Liver Transplantation: This type of Liver Transplant is dependent on the fact that the Liver is an organ which regenerates of its own. One portion of a healthy Liver from the Donor is transplanted to Recipient. 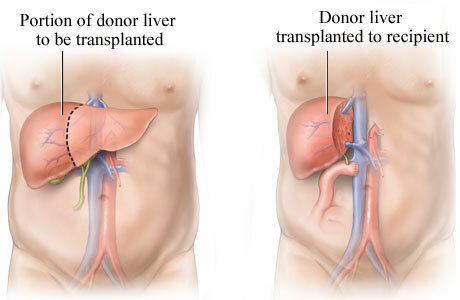 Split Donation: A liver from person who has recently died is taken and distributed in two pieces: the same is transplanted to two different Patient who need Liver Transplant. With the advancement of healthcare infrastructure in India, there are number of good Hospitals like Global Hospitals, Fortis, BLK Hospital, Artemis & Cethar Hospital etc. catering Patients with most affordable Liver Transplantation Treatment in India. These Healthcare Institutes are efficiently working with Team of Experts with very rich experience backed up by cutting edge technology. The Cost of Liver Transplantation in India is very less if we compare the Cost with Cost of Treatment in Hospitals of USA and Europe. The Cost of liver transplantation In Top most Hospitals in India ranges from USD 35000 to USD 45000 which include medical expenses of Donor and recipient both. We work with a wonderful Team of Experts with Excellent hands In Liver Transplantation Surgery in India. We at GHN would assist you in reaching you to the Best and Top most Liver Transplantation Units in India run under supervision of Top Experts in India.